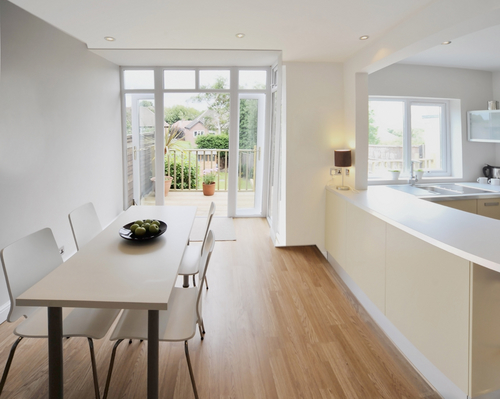 Laminate flooring is relatively still a novelty in the world of flooring. There are many people who are yet to decide on whether or not they should install laminate floors in their homes, and more so, whether these floors are safe for pets. This article seeks to answer all of these questions as comprehensively as possible, to help you better decide on whether laminate floors are for you or not. It is a relatively new flooring technology where synthetic material is made in such a way as to imitate hardwood floors. This synthetic material can also imitate natural stone or even ceramic tiles, so laminate is rather versatile. Laminate floors consist of four layers. The top layer is known as the wear layer. This is the layer that protects the rest it. It is the layer that keeps your floors at their ultimate best, forever glowing and shining, so that regardless of spills and other dirt, they do not get corroded too fast. The second layer is known as the pattern layer. It is the catch in laminate flooring, because this is where the entire design of the floor is placed. Can invention get any better? The third layer of a laminate floor is the most functional layer of the floor. It contains plastic laminate which is of paramount importance to any floor. Last but definitely not least is the backing layer. This layer helps keep moisture at bay by acting as barrier. It prevents warping, which is quite an annoying problem with natural wooden floors. In recent years, laminate flooring has been growing in popularity for many reasons, and pet owners have reason to smile because of this kind of floors. As with all things however, there are also cons of installing laminate floors in your home. All in all, lamination a great option for pet owners for reasons to be discussed in consecutive paragraphs. 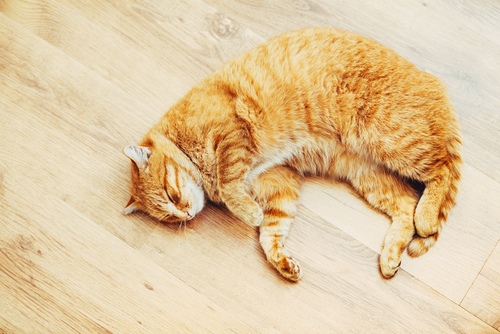 How good are laminate floors for pets? When considering what floor to put in a home that also houses pets, it is important to know whether the floors in question can bear the presence of clawed pets. Pets with long claws are prone to scratch floors many times, which can make floors look unsightly. To solve the problem, some pet owners may go to all the trouble of having the claws of their pets clipped off. This is quite a hassle and there is always the assurance of the nails growing back, which means regular visits to the vet. To solve this problem, there is need to look for floor that can withstand the scratching of pets, and without doubt, laminate floors are the best. With laminate flooring you are assured that no matter how hard your dog scratches the floor; the chances of it getting destroyed are slim to none. Laminate floors are some of the hardest floors that can bear with dignity the sure scratching that your pets will inflict on them. Additionally, laminate floors are pretty easy to clean. Their very nature makes it hard for dust, dirt and grit to stick on them, which is great news for any pet owner. If you have a pet, then you are certainly familiar with the kind of labor that accompanies the duty of cleaning after your pet, and the urgency to do so immediately a pet messes your floor. With laminate flooring however, you can relax a little because there are low chances of dirt sticking on the floor, thanks to the wear layer of the floor. 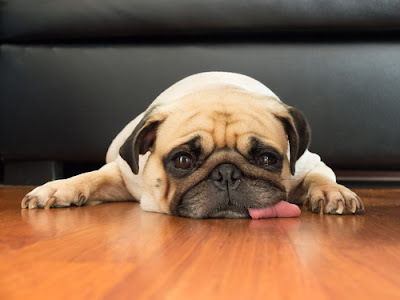 Additionally, the bottom layer of a laminate floor, that is the backing layer, ensures that spills do not seep into the floor and destroy it, a problem that many pet owners have to contend with when having other floors. The choice is usually between losing your pet or having warped floors, neither of which is desirable. Laminate floors are also particularly safe for pets because their very nature does not allow mold and mildew to grow on them. In fact, these floors are so good that if you wish, you can have them accompanied with an allergen resistant and anti- bacterial coating. Does anything spell safe better than this? Moreover, because of how they are designed, laminate floors are some of the most durable floors. Additionally, they are stable and even, and can handle heavy human and pet traffic, which is a major thing that you have to consider before installing floors to your home. What are the dangers of having laminate floors? Laminate floors have their fair share of disadvantages. For pets, the glossy top layer of laminate floors can be a major problem. Because it is so slippery, pets might keep sliding and slipping, which might result in nasty accidents. Worse still, if liquids are left on the floor for long, the chances of a pet slipping and injuring itself are increased several fold. This is one of the greatest risks of installing laminate floors in a home with pets. Additionally, pets are naturally not accustomed to walking on very smooth floors, and over time, this can lead to serious problems. When pets have to walk on very smooth floors for long hours, it results in unnatural movements in the hips, which could aggravate to serious health issues in the future. Despite these challenges, there is a simple solution around them. You can have rugs placed in the rooms where your pets frequent to make it easy for them to manouvre in them. This should make it more comfortable for your pet, not to mention safer. All in all, laminate floors make good floors for homes with pets, and you would be well advised to take the bold step into using this still- new flooring idea. You have everything to gain by using these floors, and your pets will sure be grateful.